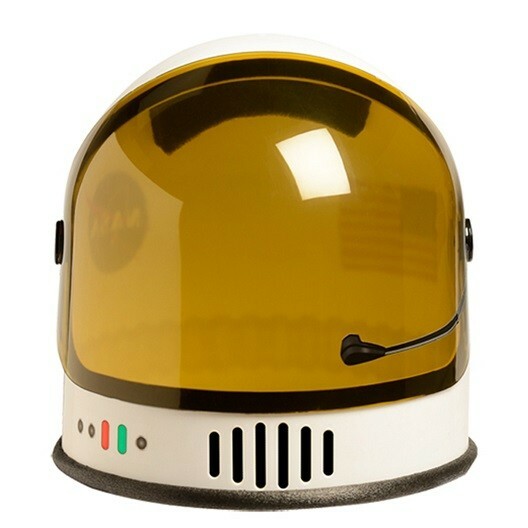 Lightweight NASA Space Helmet - spacekids - space toys, dressing up costumes, kids spacesuits, astronaut food, cool space stuff! 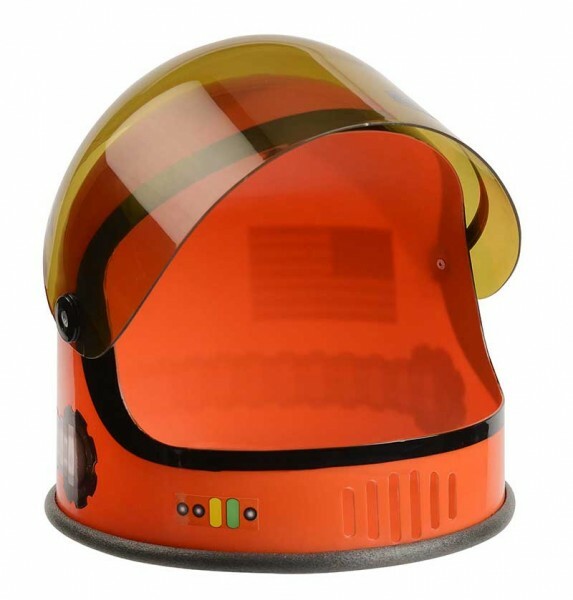 A great lightweight Astronaut Helmet, perfect for younger kids to enjoy, either to complete a dressing up outfit or for play. While this helmet does offer rich details like a moving visor, NASA logo and appealing decorations that inspire kids to dream big, it is a lightweight item and cannot compete in terms of durability with our hard plastic replica space helmet, and for sustained usage and maximum durability we would always recommend our Aeromax Space Helmet. 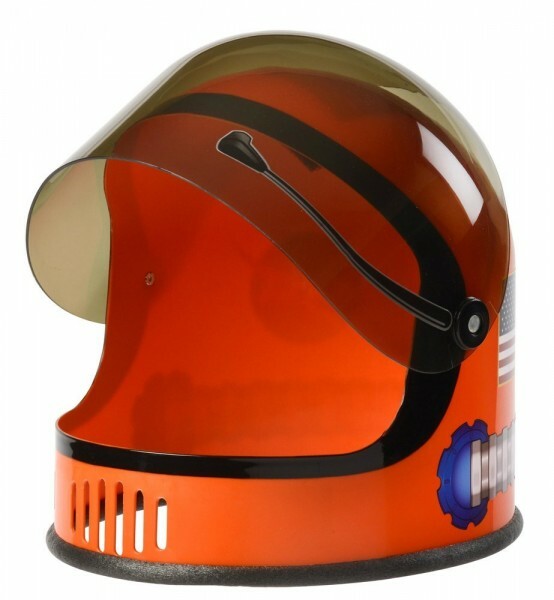 Helmet is foam padded at the bottom and inside above the top of the head. 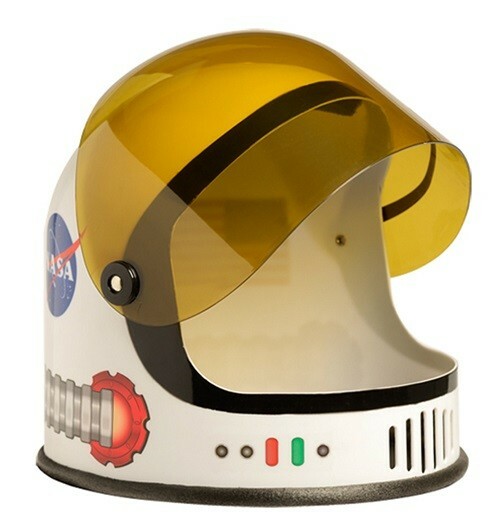 Visor is decorated with a sticker representing an astronaut microphone boom. Choose from Orange or White colours from the selection box, or don't make a selection if you want to leave it to us to choose for you! 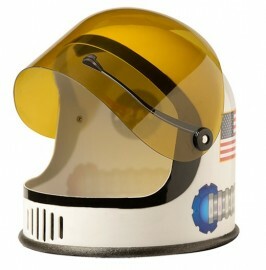 Recommended for Ages 3 to 7 years.